Subscribe and become an insider today! "You are being jerked around by one bad opinion after another. From so-called experts with hidden agendas, to so-called professionals who don't actually detail for a living. You've got questions and I have answers!" Are you a complete beginner frustrated as to where to begin? Want to get into the business but don't know where or how to start? Want straight talk from a person who actually details for a living? Do you find yourself bouncing from one opinion to the next? Including the world of detailing! 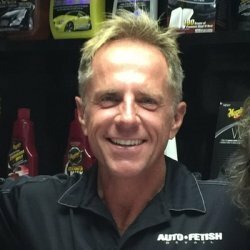 80% of what you have been taught about car care is either irrelevant, outdated, or incorrect. 80% of the products out in the market are redundant. I can teach you how to put in 20% effort to produce 80% of the results. I can show you how to get by with only 20% of the products the industry wants you to buy. "When I first started in the business, finding information was virtually impossible. No Internet, no formal training. Every detailer was competing against the other. With modern technology you are faced with the exact opposite; the digital age of free information. You are literally drowning in a sea of endless opinions, endless choices, endless voices; what you need is less static and more signal!" I realize that what I present here within the pages of this website will be completely counter to much of what you have been taught, or have been lead to believe. I have been given much grief for being so candid and transparent from the very industry I have been part of now for over 30 years. I am O.K. 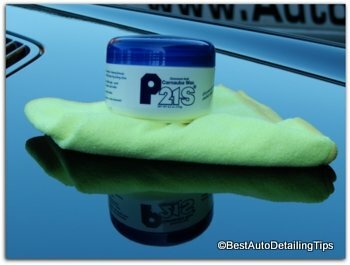 with this, as I know I am tired of the endless hype and marketing that is such a big part of cosmetic car care and professional detailing. I can only hope that I am not alone in my frustration and that you can gain a little something to help you get more of what you really want within your own world. Between this website and my YouTube channel I am going to bring all my real-world experience and teach you how to get better results, with less products, with less effort than what you ever thought possible!